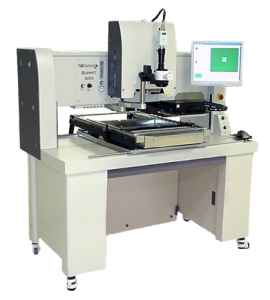 VJE offers a broad range of semi-automated and automated rework systems with precision, high throughput, and an easy-to-use operator interface. High-level automation, intuitive software, and easy set up help minimize operator intervention and simplify your most difficult rework processes. • State-of-the-art rework systems that offer high productivity and reduced cost of ownership. • Applications include BGA rework, RF shield removal, connectors, micro passive (0201, 01005) and Package on package (PoP).